﻿Should I Use Antibiotics to Treat an Ear Infection? 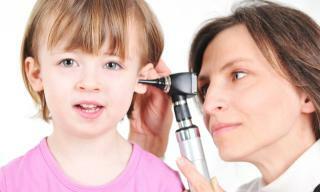 Ear infections are the most common type of childhood infections, affecting three out of four kids under the age of three. There are several different causes of ear infections and not all of them are bacterial. Because so many children experience ear infections and because antibiotics are so often prescribed for treatment, many doctors worry that the bacteria is becoming resistant to the antibiotics. Some ear infections are caused by bacteria, in which case antibiotics can be effective. But others are viral, in which case antibiotics provide no defense. In addition, it is believed that four out of five ear infections will clear up on their own within a couple of days without antibiotic treatment. Pediatricians are urged to only prescribe antibiotics if the patient displays severe pain and swelling for at least 48 hours, experiences an eardrum rupture, or has a fever higher than 102.2 Fahrenheit. For all other patients, an alternative diagnosis and treatment mechanism is recommended. Sometimes pain relievers are prescribed to treat the symptoms of the ear infection without attacking the infection itself. The most common antibiotic prescribed for ear infections is amoxicillin. Amoxicillin is also used to fight tonsillitis, bronchitis, pneumonia, and gonorrhea. It’s used to fight skin, throat, nose, and urinary tract infections as well. There are a number of home remedies that can help alleviate the pain from an ear infection. These include using things like salt, olive oil, and even an onion. While these can help suppress some of the pain and symptoms of an ear infection, they may not fight against the infection itself. Ear infections can happen as a result of wax buildup, allergies, respiratory infections, internal injuries and even genetics. In addition to pain inside the ear, an infection can bring nausea, fever, vomiting, diarrhea, fluid in the ear, and difficulty sleeping. If you’re suffering from an ear infection, the medical professionals at your nearest FastMed are waiting to see you. Visit us today and get the treatment you need.